Chris H. New Haven, CT. D&D 1E/LL/LOTFP/Etc & Similar. Maxim Golubchik, Pleasanton CA. 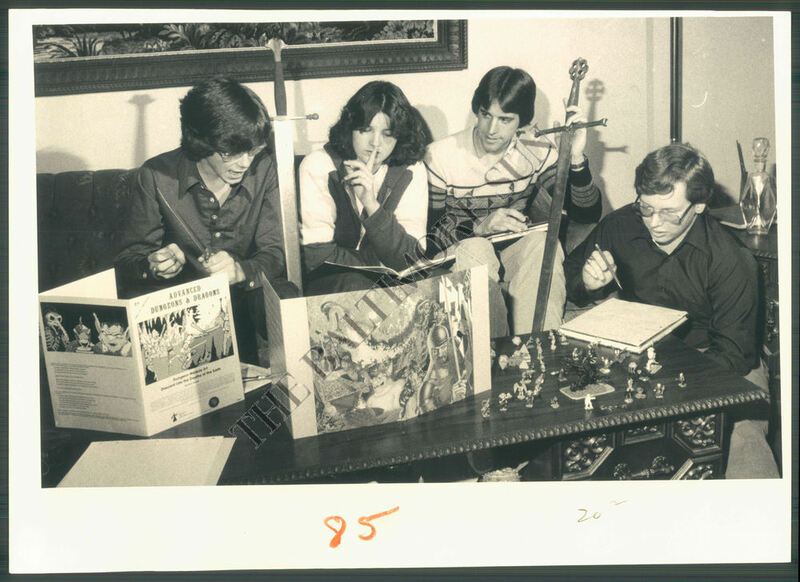 D&D and LOTFP. Eric Boyd/ Kent, WA. OD&D, B/X, LotFP, DCC, etc. Trying to get a Dwimmermount game off the ground. DCC, LotFP, D&D 5e, Into the Odd, Classic Traveller and whatever is coming out of the OSR/D.I.Y. D&D community. PS if somewhat old grognards aren't your game, I can put you in touch with some recent college grads I know running a 5e campaign in Ruby Hills Sunday nights. Amador alums from class of 2008. I would appreciate being added to your G+ circles Zak. Not really sure how to message you on there. ACKS, DnD 5e, any retroClone is good but I only have ACKS in print. Happy to expand collection if someone really wants to run LotFP, DCC, LL, or something along those lines. I'm happy to play in or run any of the following: LotFP, S&W White Box, SWN, and anything else from the OSR. Or D&D 5e. Currently trying to start a DCC campaign and looking for more players. Very interested in joining an LotFP game as a player. Contact me on G+. Username Jess Newman. Chaosium's Pendragon starting mid-March in New Castle, CO. Contact me @ Google+ if interested. Berkeley, CA. I'm running old schooly D&D using Fantastic Heroes and Witchery weekly at a cafe near BART, advertised on meetup or write me, occasional players totally OK. Also in a fun 5e game meeting when possible, usually every 3-4 weeks in North Beach, SF, and could use another couple of players. When I am emperor, I'll also play some kind if scifi, trail/call of cthulhu, runequest, pendragon, etc. I'm at o r e m o r 2 3 gmail. Thanks Zac! Lotfp/OSR but down for anything. I run GURPS Dungeon Fantasy on alternate Sundays. I enjoy most versions of D&D and related games, other than the dreaded 4th. My e-mail address is the name of an infamous monk who had a big Johnson and led Russia even more astray than usual, AT m a c dotcom. hi i'm kim. live in chattanooga, tn. would like to find some cthulhu, lamentations, cyclopedia, mechwarrior, and mouseguard. have played pathfinder, dnd, hackmaster, shadowrun, dcc, and top secret. gaming is where i go to dark city blossom - my mind exploding in so many myriads, good luck keeping up. otherwise i'm super humble, and it makes me happy to get people to laugh. 5e, B/X, clones/heartbreakers. Wrapping up my 5e plane-hopping game soon; looking to start a Dark Sun-ish game this summer; we'll see if it actually happens. Also got a friend who's a better DM and more old school than I am (Loring Park); he's running both a 1e Yoon Suin and a Metamorphosis Alpha game that may be open to new players. I know 3.5, 5e, and Dark Heresy well, but I'd love to learn new systems. Any day except Saturday.